Ruscombe Green: Should you vote Green? The second tool is the Political Compass, which presents a series of statements and asks how much you agree/disagree with them. It uses this information to assign you a position on a grid according to how right or left wing, and how authoritarian or libertarian your views are. 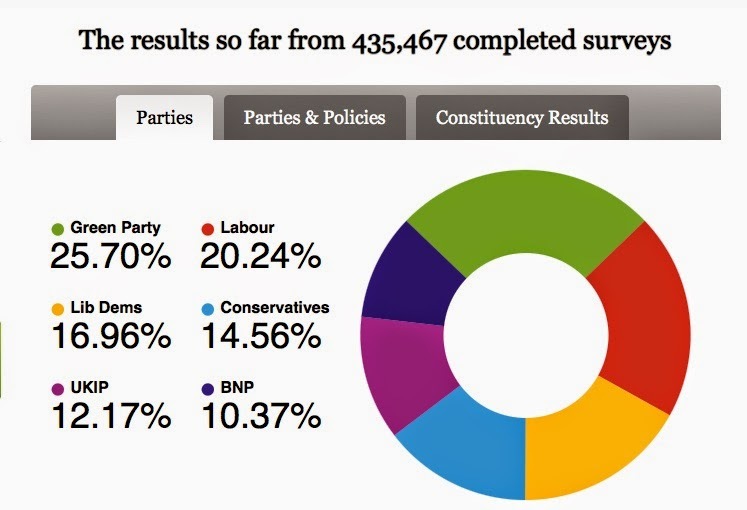 This can then be compared with the political stances of the UK parties. 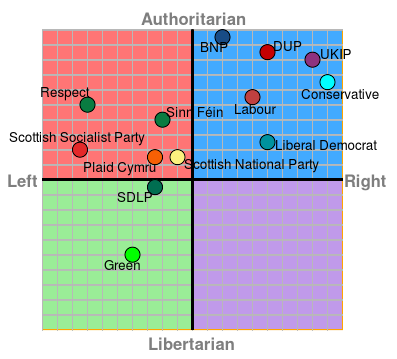 Note that the Greens are the only party firmly inhabiting the left wing libertarian quadrant.